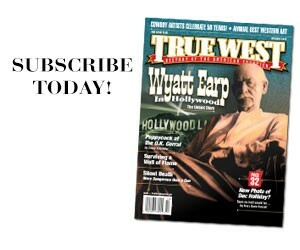 Ed O’Kelley has his claim to fame. 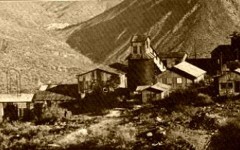 On June 8, 1892, he walked into a tent saloon in Creede, Colorado, and emptied two shotgun barrels into the neck of the proprietor. 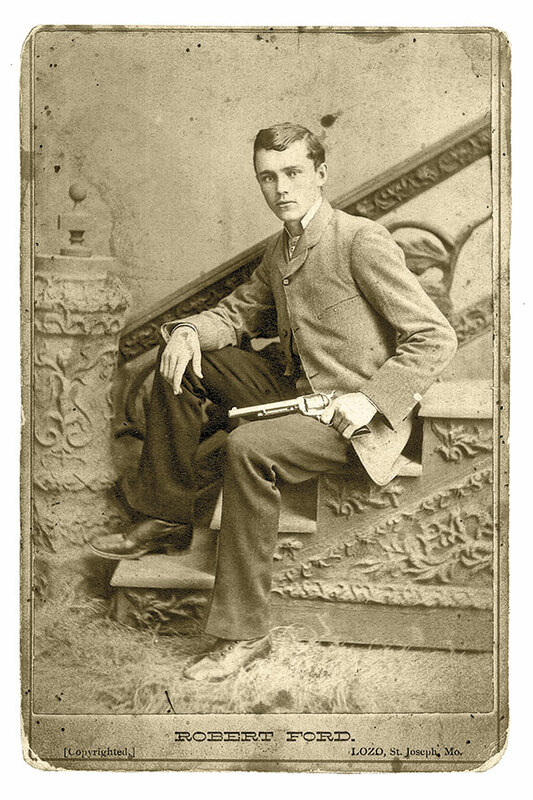 The victim just happened to be Robert Ford, “the dirty little coward” who shot Jesse James 10 years before. It’s not clear why O’Kelley killed Ford—maybe to avenge Jesse, perhaps to get some publicity. But it set him on a path that would result in his own violent death in a Western street more than a decade later. There were consequences for the killing of Jesse James’ killer Bob Ford. Much to his surprise, O’Kelley—who thought he’d be hailed as a hero—was convicted of murder and sentenced to life in prison. That was later cut to 18 years, but a petition campaign resulted in his release on medical grounds in 1902. Apparently, the jail time did not rehabilitate him. Maybe he was beyond that. 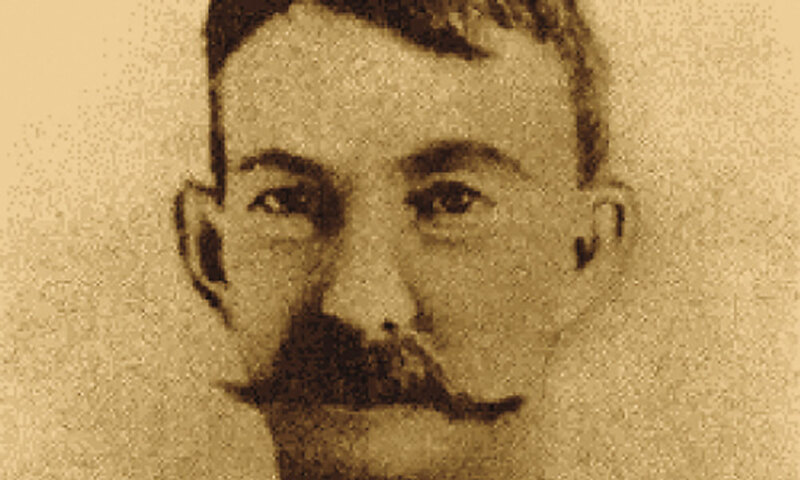 O’Kelley was a former lawman with a reputation for a bad attitude. He was quarrelsome and surly and someone to avoid in private and public. In 1891, he reportedly killed a man who accidentally stepped on his feet (there’s no record of his being arrested or tried for that). Ten years in a steel cage must have made things even worse. When he got out, O’Kelley moved to Oklahoma City, Oklahoma, and re-established his reputation as a nasty guy, not to be messed with. 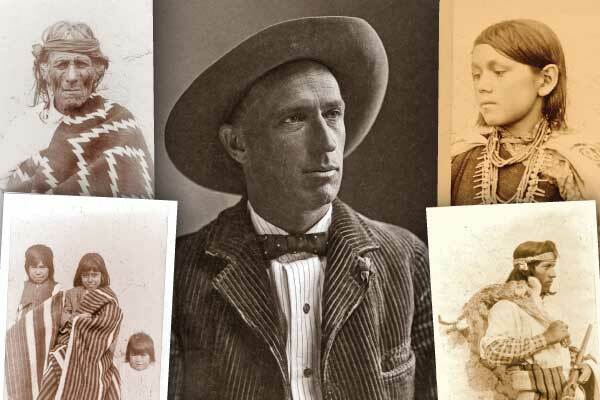 He hung around in the saloon district where the denizens learned that he was the man who killed Bob Ford—information that apparently didn’t give him greater prestige in local eyes. He soon ran afoul of policeman Joe Burnett, who arrested O’Kelley for being a “suspicious character.” That didn’t help the ex-con’s disposition, and once he was released from custody, he began making threats against Burnett. O’Kelley would get his chance to get even. On January 13, 1904, O’Kelley was arrested by another officer (it’s not clear why) but soon released. Apparently, he was seething later that evening when he encountered Officer Burnett, his previous adversary, on a street. According to accounts, Burnett cordially greeted O’Kelley with a “good evening.” In response, O’Kelley pulled a pistol and began hitting the policeman, cursing the cop and shouting that he was going to kill him. The two wrestled to the ground; O’Kelley fired his gun several times but never hit his target, who kept pushing the barrel away (though he got some powder burns in the process). In the meantime, Burnett begged passersby for help, identifying himself as being a lawman. Nobody assisted. O’Kelley, out of bullets, began biting Burnett’s ears. An O’Kelley pal happened upon the scene and took a shot at the officer, but when he missed, the friend beat a hasty retreat. Police were called, but before they could get there, the battle came to a sudden end. Railroad baggage man A.G. Paul jumped in to assist Burnett, grabbing O’Kelley’s arm. That allowed the policeman to pull his own gun and fire twice. One bullet hit his attacker in the leg; the other hit him in the left temple, killing him instantly. O’Kelley’s body was taken to the morgue. It stayed there for two weeks; nobody would claim it. Finally, the city buried his remains at Fairlawn Cemetery. There was no marker. The burial cost $12.50. Today, visitors to Fairlawn can see a headstone engraved with O’Kelley’s visage placed by the Oklahoma Outlaws Lawmen History Association to mark the outlaw’s grave. Ed O’Kelley, the man who killed the man who killed Jesse James, may never have enjoyed his 15 minutes of fame. For all his troubles, he got a lonely grave in Oklahoma City and a footnote in the history books. 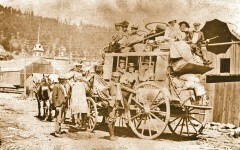 Did Stagecoach Travel Have Different Classes of Ticket?